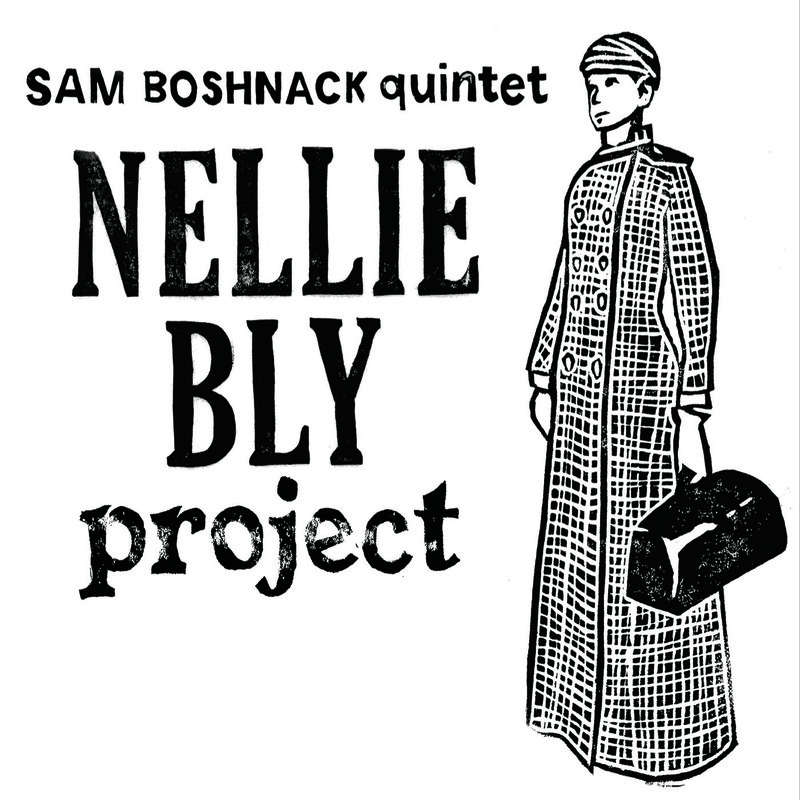 On the heels of their debut release, Exploding Syndrome, Sam Boshnack has quickly taken on the next large scale project for her Quintet – a narrative work inspired by the life of 19th century investigative journalist Nellie Bly. Boshnack writes about the project, “Both as a young girl and today, Nellie Bly greatly inspires me. A reporter at a time when women were not welcome into journalism, she was a fiery and persistent individual who worked within extreme confines to achieve great things for both the subjects she covered (including mental health and prison facilities), and for women in her field.” Boshnack has created a work in four movements highlighting stages and elements of Bly’s personality and career: “Early Years” establishing her voice – combining elements of punky irreverence, with a yearning to deeply understand the human experience and its unfairness; “Asylum Expose” exploring her extreme efforts to write about the atrocities of a mental asylum; and “Around the World” tackling her race around the globe to beat Jules Verne’s fictional record, while the world cheered her on. The piece concludes with “Lasting Legacy” – an homage to Bly and the impact she made to those who came after her. Boshnack combines exploration of Bly’s life with propulsion from her words, incorporating quotes and segments from her books as spoken and sung elements within the suite. In addition to the music-based work, Boshnack hopes this concert will be an opportunity to educate the public about the life of this impactful, yet mostly unknown, iconoclast. This project is made possible with support from 4culture and Sprout. Categories: images, shows, thoughts | Tags: 4Culture, chamber music america, Nellie Bly, sam boshnack quintet, Samantha Boshnack, Wayward Music Series | Permalink. Go To Orange Now Available!!! 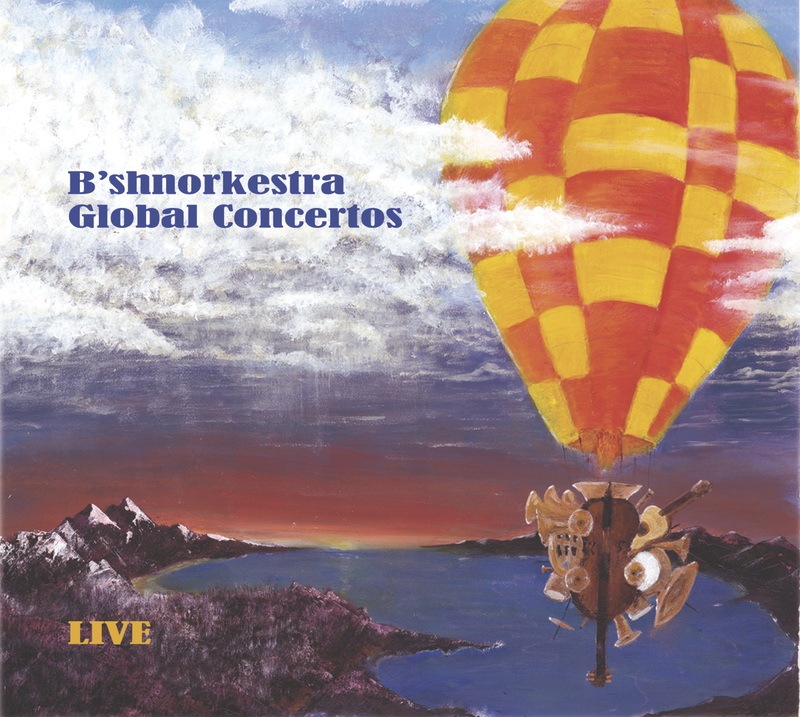 Now available from Present Sounds Recordings, B’shnorkestra’s first studio record: Go to Orange! You can buy the record at the links below, as well as other fine online retailers. B’shnorkestra recorded eight new Boshnack compositions in June 2012, supported by fans through Kickstarter. Tracked live at Bear Creek Studios – a world-class facility with a diverse list of credits from Blonde Redhead to Bill Frisell, Eric Clapton to Ginger Baker – the record was mixed by Evan Schiller (Eyvind Kang, Sadhappy) and mastered at Lurssen Mastering (Elvis Costello, Tom Waits, Diana Krall). Categories: images, thoughts | Tags: bshnorkestra, go to orange, Present Sounds Recordings | Permalink. Samantha Boshnack is a featured composer in the Frye Art Museum’s current exhibition: Moment Magnitude. She performed with her quintet (featuring Dawn Clement, Beth Fleenor, Isaac Castillo, and Max Wood) as part of the exhibit. Light installation/scuplture by LILIENTHAL | ZAMORA. Categories: images | Tags: frye art museum, moment magnitude, quintet | Permalink. Samantha Boshnack’s Seismic Belt “Live In Santa Monica” is released!